A novelist learning to be here! Forum Saradas | Female BodyBuilding & Fitness & Figure - Members Area | New Member Introduction | A novelist learning to be here! Hi all. I am novelist using the name David Rory O'Neill, who has a few members here to thank for some of my sales. My work features FBB and athletes. I have another short novel out featuring an FBB called Rachel. This Rachel's walk is very much to the taste of many here - and me. 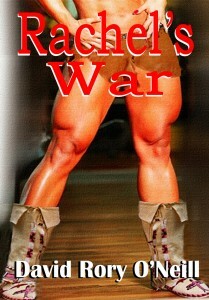 The next book is starting now; to be called Rachel's War - this is the likely cover. I'm glad to be here at last and lookforward to learning my way around and getting out of the sandbox. David Rory O'Neill - Novelist. Re: A novelist learning to be here! Hi there and thanks for your works. One question. Do you have any idea if your books will show up on iBooks. It's not that I can't get them elsewhere, it's just that iBooks is, all in all, my platform of choice. Yes a lot of my work including the 7 book Daniel series featuring Lauren are on iBooks. If you search under the author name they should all come up. OK, cool. Thanks for the quick reply. I remember looking for them a while back with no luck and haven't tried since then. Apparently, I should have. Hi again. I noticed I had not published Rachel's Walk for iBooks. I did that today so it should be there next week. can I get these on the kindle? Hi there. Yes all my work is on Amazon Kindle. Just search: David Rory O'Neill. Welcome David. Pleased to see you. You're my favourite novelist. Thank you sincerely. I appreciate that. I am afraid I shall not be posting much and will remain a lurker. I have little time to surf here, as I am finished the final edit of the new Lauren and am about to begin Rachel's Walk. Hi all the latest novel featuring FBB is out now on Amazon as ebook or paperback. Hi all and thanks to all who have supported me by buying the Lauren novel. 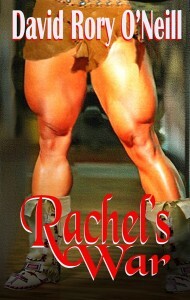 My next FBB story, a novella called Rachel's War will be published on the 1st of December. Ebook only and it will be on Amazon first for Kindle but will be out for other formats the following week. Just to let readers know - due to a very pleasing demand there will be third Rachel story soon. Rachel's Might will be published around October. I will announce it here. The new Rachel story Rachel's Might is now out on Amazon as eBook. The omnibus edition of all three stories will be out in paperback very soon.